You health and safety is important to us, which is why we have comprehensive safety procedures in place in relation to fire, gas, carbon monoxide, water, electrics and asbestos. You can read full advice and guidance about these in our health and safety in your home leaflet, which we strongly recommend you read. To prevent the risk of fire it is important to ensure your smoke and heat alarms are working, by testing them weekly. If you rent your home and your smoke detector is not working please contact our Service Centre on 020 7613 8080 or email customerservice@newlon.org.uk. If you are a leaseholder or Shared Owner you are responsible for repairing or replacing your own smoke detector. Information about the brand and supplier as well as any warranties should be in your welcome pack. 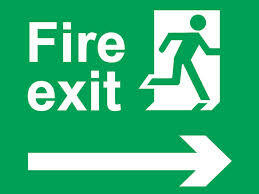 Make sure you familiarise yourself with the fire evacuation procedures for your building. This information can be found on the noticeboards in the communal areas of your block. Alternatively you can ask our Service Centre. If you have a fire in your home ensure you follow the evacuation procedure for your building and call 999. Detailed advice and guidance on fire safety at home can be found online at www.london-fire.gov.uk/safety/the-home. If you smell gas, or suspect there is a gas escape, immediately open all doors and windows and shut off the gas supply tap. This is usually located next to the gas meter, but you should check to make sure. You should then call the National Grid emergency line on 0800 111 999. If you rent your home from us we are will undertake a gas safety check every year. We will arrange for our gas contractors to make an appointment with you to carry one out. We are required to do this by law, and it is a condition of your tenancy that you allow these contractors access to your home. If you are a leaseholder or Shared Owner then it is your responsibility to make sure your gas central heating system is serviced every year. You must use a Gas Safe registered engineer. We recommend you purchase a British Gas 3 star service agreement or equivalent. Every year about 30 people die from carbon monoxide poisoning, as a result of gas appliances and flues which have not been properly installed or maintained. You are particularly at risk when you are asleep because you cannot recognise the early symptoms of carbon monoxide poisoning. These can include tiredness, drowsiness, headache, nausea, pains in the chest and stomach pains. If you believe you have been exposed to carbon monoxide then you should seek urgent medical advice. Carbon monoxide quickly leaves the blood and tests can be inaccurate if taken more than four hours after exposure has ended. So the faster you act, the better. We carry out a risk assessment on all properties with a communal water supply every two years. If there is any risk to your safety then we will take action needed. Most of our properties, particularly homes with water direct from the mains to combination boilers, will be very low risk. However we may want to check water temperatures or take water samples for testing. Depending on these results we may need to clean your water system or change your piping layout to reduce risk. If your boiler needs replacing it may be changed to a combination boiler to avoid the need to store water, as this can reduce risks. We carry out periodic water risk assessments of our properties. These assessments are to ensure that the water system in your home meets safety regulations. You can find out more about the guidelines we are expected to follow in relation to water safety on the Health and Safety Executive’s website. We check the electrical systems in all our rented properties every five years, to ensure they are safe and make any necessary repairs. Our contractors will contact you to arrange any appointments needed. It is a condition of your tenancy that you allow these contractors access to your home. If you are a leaseholder or Shared Owner you are responsible for carrying out your own electrical safety checks. We advise you to do this regularly. Further information on electrical safety can be found at www.nhmf.co.uk/bestpractice/compliance/electrical. Asbestos can cause serious health problems including hardening of the lungs, lung cancer and cancer of the chest cavity. If it is not damaged and left alone then it will not be dangerous. However, it can be dangerous if it is damaged or disturbed, such as during home improvement works. Contact us if you think you have found asbestos in your home or you are planning on doing any DIY. If you have further questions about health and safety in your home then please call 020 7613 8080, or email customerservice@newlon.org.uk.